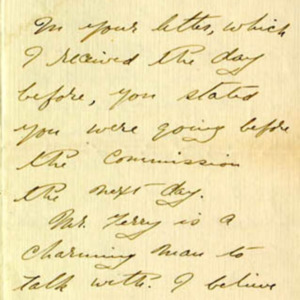 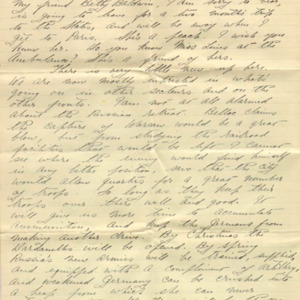 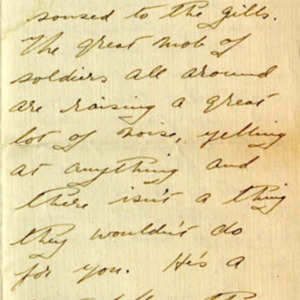 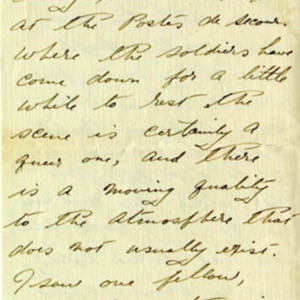 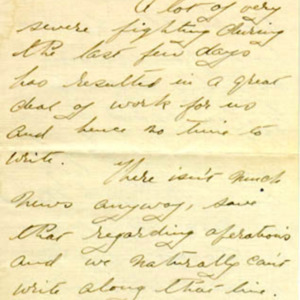 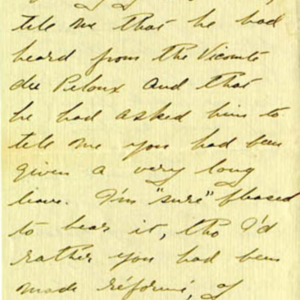 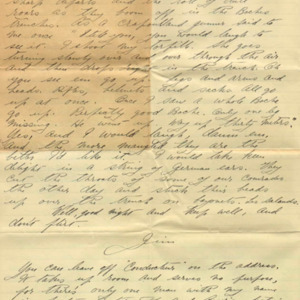 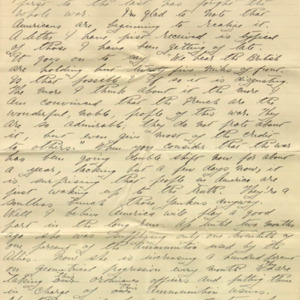 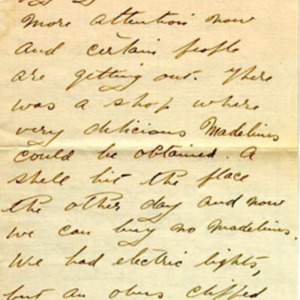 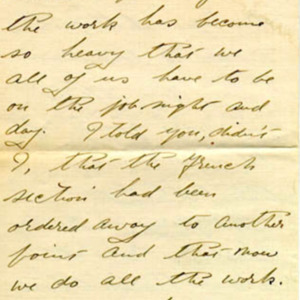 McConnell writes to Marcelle about the heavy fighting at the front; the French ambulance corps has been moved to another point on the front and the American corps is "on the job night and day." 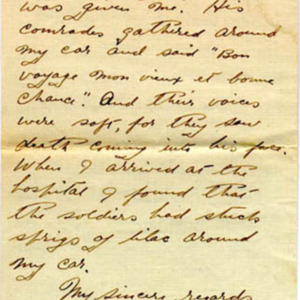 McConnell comments on picking up a wounded French soldier: "His comrades gathered around .. and said 'Bon voyage mon vieux et bonne chance' and their voices were soft for they saw death coming into his face." 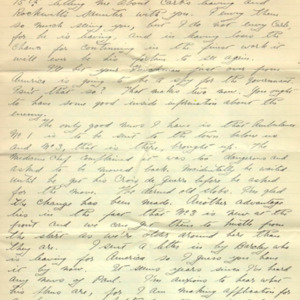 McConnell writes about current politics and says that he "is not alarmed by the Russian retreat ... by spring Russia's new armies will be trained, supplied and equipped with a compliment of artillery and weakened Germany can be crushed into a heap from which she can never straighten out."